From traditional Maremma cheese production we bring you a flavorsome, genuine cheese which is balanced in flavor. Il Fiorino Cheese factory products are entirely handmade. Try some original Tuscan Pecorino! Il Fiorino Cheese factory is renowned for the excellence of its semi mature Pecorino and was founded in Maremma back in 1957. 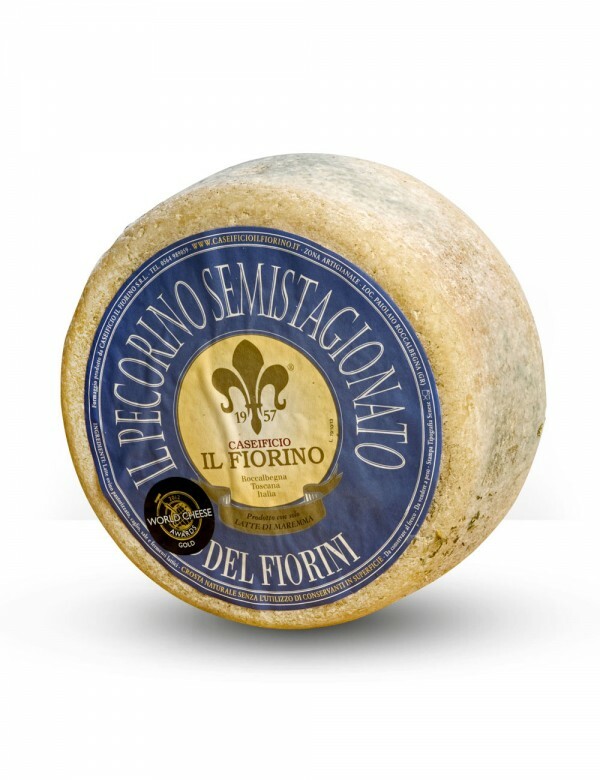 Il Fiorino Pecorino is a semi mature cheese made from natural ingredients and using artisanal production processes. Milk, rennet, selected milk enzymes and a pinch of salt. Nothing more. Savor the unique flavor of original Tuscan Pecorino, made by the experts. Produttore: CASEIFICIO IL FIORINO S.r.l.